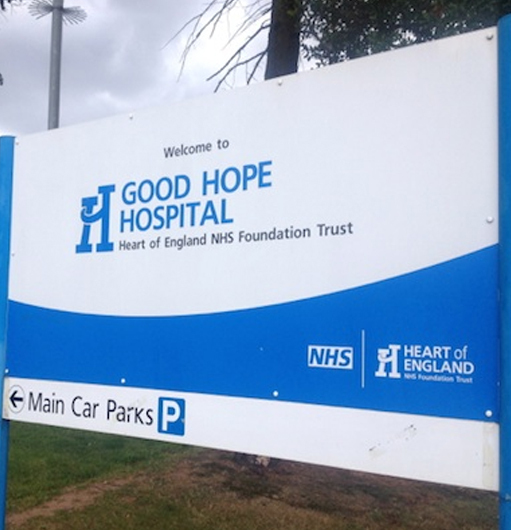 With many drivers located in Sutton Coldfield, TC Cars are a leading provider of taxis to Good Hope Hospital in Birmingham. With an Accident and Emergency department, you might be looking for an extremely responsive taxi company to take you to Good Hope; TC Cars can handle that. You can use our taxi booking app or call us on 0121 770 2000 to start your journey today. Click to use our taxi fare calculator so you don’t get any nasty surpises when it comes to the fare. Why use TC Cars for Good Hope Hospital taxis? All drivers are CRB checked and we’re fully licenced by Birmingham council, so you know you’re in good hands. Book online, through our taxi app or by calling 0121 770 2000.